Getting a copier for your office is essential for most people. They are devices that are needed for almost every business across the country. However, they can be expensive, long commitments that not everyone is ready for. However, there are options for those who don’t want to commit themselves to a lease. For those people, getting a used copier at Colorado Springs Copier could be the perfect option. Many people sneer at the idea of getting a used office machine. They don’t want something that is out of date, and don’t want to have to deal with someone else’s unfinished problem. However, with our used copiers at Colorado Springs Copier that is hardly ever the issue. All of our used copiers came from responsible businesses that followed the rules of their lease in the past. That means that these machines were treated well, had maintenance, and were inspected by us to make sure that they are in good working condition. Used copiers can also be a great option for those who don’t want to be stuck paying monthly payments. This could be for a variety of reasons, including being worried about cash flow when your business is just starting. A used copier will be a larger upfront cost, but you will be free to do whatever you want with it. There will be no monthly payments and you won’t have to answer to a leasing company. Used copiers in Colorado Springs are a fantastic option for those who need a fast, and cheap solution that offers then more freedom. 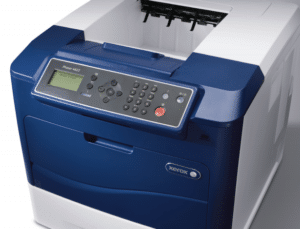 We can help you find the perfect used copier for your today. Give us a call and we will get you exactly what you need.